Local Government Elections in Punjab will be held in two phases. 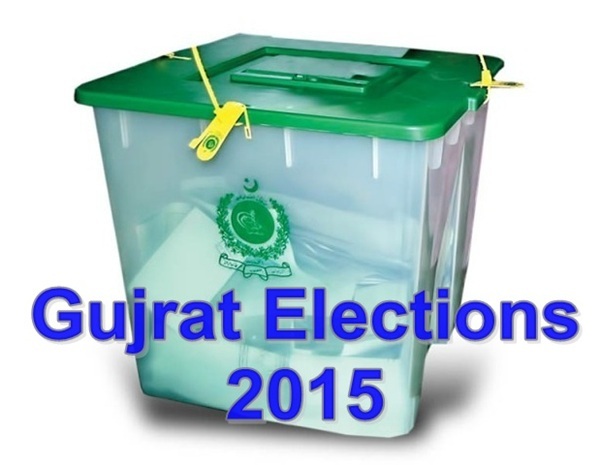 Election in District Gujrat will be held in first phase on 31 October, 2015. There are total 1,726,760 registered voters in the district Gujrat. Among these 957,224 are male voters while 769,536 are female voters. Election will be held in all 117 union councils of District Gujrat for the seats of Chairman, Vice Chairman, 06 General Councilors, 02 Women Councilors, 01 Labor Councilor, 01 Youth Councilor and 01 non-Muslim Councilor. Following election symbols are allotted to political parties. Election results will be announced by Election Commission of Pakistan after polling day.